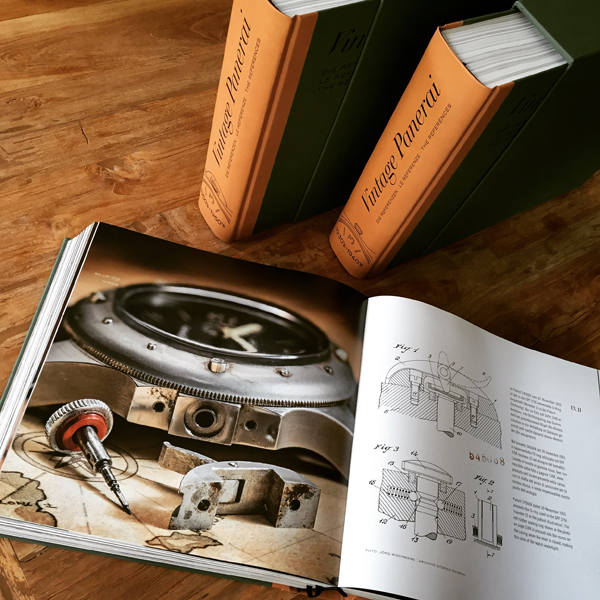 One of the unique technical features of the GPF 2/56 compared to other watches from Guido Panerai & Figlio is the rubber sealing ring of the winding crown. 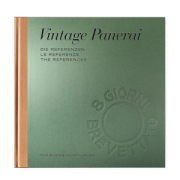 The famous patent 545668 from November 1955 can be seen right next to its realization on page 1148-1149 in chapter IX.II, showing the side of a GPF 2/56 “Luminor Panerai” with removed crown-protecting device and crown with its rubber sealing ring, making this area of the watch watertight when the lever is closed by axial pressure to the case. 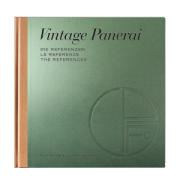 Vintage Panerai watches with the legendary crown-protecting device are featured in the second volume of our book “The References” 1950’s-1960’s in chapters VIII (Ref. 6152/1 with Rolex movements), IX (GPF 2/56) and X.IV (Modified Reference 6152/1 with Angelus movements). Vintage Panerai watches from 1930’s to 1940’s, featuring References 2533, 3646, the Mare Nostrum chronograph and compasses. 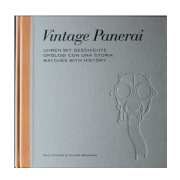 "History1" comprehensively documents four Vintage Panerai watches and their pasts. “History2” continues where “History1” ends - this book documents five previously unreleased stories of frogmen units of the 2nd World War.